Dr. David A. Strouse, MD, is an cardiac electrophysiologist at MedStar Washington Hospital Center, MedStar Southern Maryland Hospital Center, and MedStar Georgetown University Hospital. In addition to seeing patients, he also serves as the Chief of Complex Ablation and Chief of Virginia Outreach Programs for the MedStar Heart and Vascular Institute. As a cardiac electrophysiology specialist, Dr. Strouse works with a focus on understanding and treating abnormal electrical heart activity, which commonly includes conditions like atrial fibrillation, supraventricular tachycardia, tachycardia, and bradycardia. Procedures and services performed by Dr. Strouse include complex catheter based ablations of all cardiac arrhythmias, epicardial ablation, cryoablation, radiofrequency ablation, the WATCHMAN procedure, heart rhythm device implantation, genetic counseling for heart conditions, and managing the treatment of genetic heart conditions. 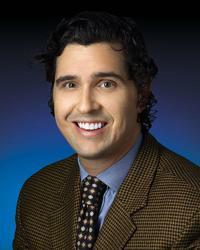 Dr. Strouse has collaborated in over 45 studies and trials dealing with topics relating to electrophysiology, including novel ablation techniques and new modalities of pacing. He is most interested in new techniques for ablation in treating complex arrhythmias. Clinically, his goal is to always be on the cutting-edge of cardiac electrophysiology treatments, performing the most sophisticated procedures and using the newest technologies available. Dr. Strouse received his medical degree from University of Maryland School of Medicine, where he conducted research in pathophysiology. He then completed a residency program in internal medicine at Baylor College of Medicine Affiliated Hospitals. Dr. Strouse then went on to complete a fellowship in cardiology and cardiac electrophysiology at New York University Medical Center.